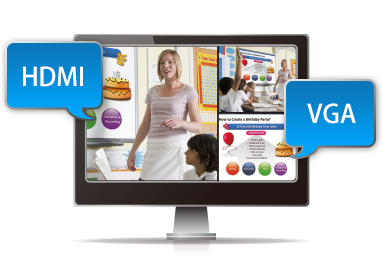 AREC Meeting Recording Solution can separate recordings of video, audio, all the presentation slides and other digital devices into different streams. This solution offers enterprises and government organizations the most suitable features to digitize audio-visual records of important meetings professionally and intelligently. Not only does it help to record audio-visual contents of the meetings, it also allows overseas employees or those with other duties to view the recorded video after meeting finished. AREC Meeting Recording Solution, consisting of AREC Media Station, is able to capture VGA and HDMI signals directly via hardware connectors. 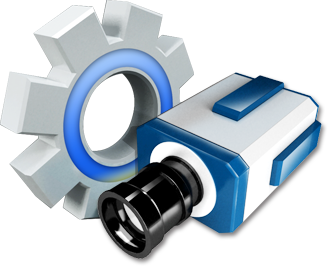 This solution is capable of concurrent multi-channel video recordings simultaneously. 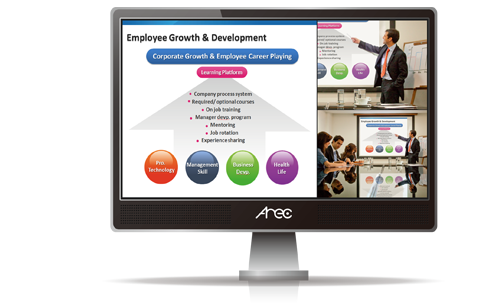 AREC Meeting Recording Solutions can be integrated together with existing video-conferencing systems of enterprises. If the conference room is already equipped with fully functional video cameras and audio system, AREC Meeting Recording Solution can pick up these signals and record the whole meetings. Existing conference systems can hook up together with AREC Meeting Recording Solution, enhancing the overall capabilities and services of the original teleconference system with true records of important meetings.